Anthony Bourdain will soon be joining CNN and leaving behind his Travel Channel show, No Reservations. Bourdain's new show will focus on food trends like celebrity chefs and the rising popularity of a meat-free diet. "Examining the world through the prism of Tony's unique expertise and passions continues CNN's long-standing commitment to international reporting and to promoting global understanding," said Mark Whitaker, CNN's worldwide executive vice president and managing editor. The show will air during primetime Sundays, however no other details have been released. "I'm really looking forward to coming over to CNN. 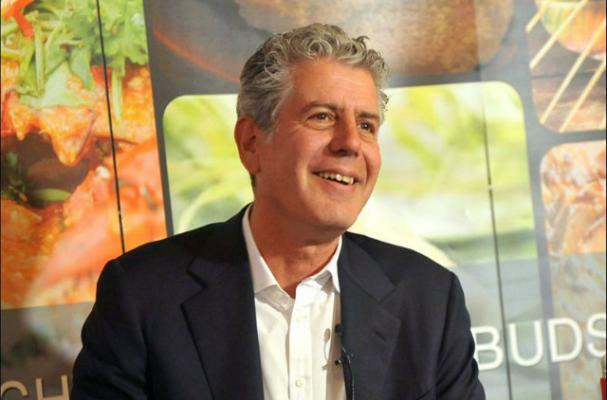 I think the world is going to get a whole lot bigger for me," Bourdain said. "I hope that old fans and new ones will be excited about what's coming down the road." But will he ever cook in a restaurant again? I doubt it.